I can remember the first time I went to buy a car. I was clueless as to what I was doing and what I needed to buy a car. I don’t remember the specifics, but I am sure I overpaid for it and didn’t follow any guidelines. This was a major mistake. First because I could have saved money by having a better idea of what I could negotiate and second, if I knew what I needed to bring to buy a car, I would risk potential hiccups in the process. In today’s world, a car is a necessity for most of us. While public transportation is great, sometimes we would rather not rely on it. In other cases, it isn’t even available depending on where you live or where you are going. As a result, about 90% of households in the U.S. own at least one car. However, in most cases, the cars are old and hence difficult to maintain. 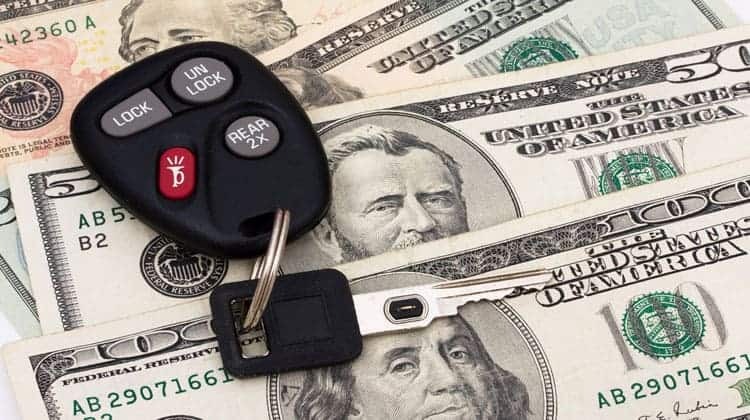 This is why there is a need to know what do you need to buy a car so that you can get a new car without any trouble while also being able to save money when buying a car. This guide is not only written for car owners but also for first time car buyers. Without much ado, let’s get started. What Do You Need to Buy a Car? Buying a new car be a long process, especially if you are a first time car buyer. Arranging finances can be a bit of a hassle. Plus, you may have to take care of the registration process as well. It takes about 3.6 hours for a buyer to complete the process, according to this report. A lot of this time goes into negotiating and taking care of the paperwork. You will need proper paperwork to ensure you have no trouble. If you’re wondering about what do you need to buy a car, here are the details. It can be in the form of cash or check if you are buying the car outright without a loan. If you are taking out a loan, you’ll also have a check. If you choose to let the dealership handle the financing, then you can make the down payment with your credit card. Even a cashier’s or a personal check may be acceptable. However, what payment method a dealer accepts changes from dealer to dealer. So make it a point to call the dealer and ask before you show up. And even if you plan on taking advantage of dealer financing for a special rate, it makes sense to still get pre-approved by another lender. The reason is because you have no control over the loan process. The dealer financing unit might find a reason to not offer you a loan, or one at a high interest rate. By having a backup source of funding, you can still buy the car and not waste your time by not getting approved. You will need car insurance to be able to drive your new car and take it home. You can purchase the insurance in advance if you’re sure of the car you’re going to choose. In case you’re unsure, you may opt to call your insurance company from the dealer after selecting your vehicle. Once you select your car, you provide your insurer with the vehicle identification number (VIN) of your new car. The insurance provider will send you an insurance card via email or fax, which you can then used to verify insurance. However, some dealers may require that you have insurance prior to finalizing the deal. This is why opting to get an insurance before you visit the dealership might be a better idea. If you’re trading in your old vehicle for a new one, you will have to prove that it’s under your ownership. The car title, also known as the pink slip, can be enough of a proof. Make sure to have a good look at the document to ensure you own the vehicle and have the right to sell it. You’ll need approvals in the form of signatures if there’s a lien against the vehicle or a co-signer. It’s very important to be careful so that the title is not rejected by the dealer or the DMV. We suggest that you talk to someone at the dealership and be sure of the matter. Moreover, you also have the option to check your local motor vehicle registry site to be clear about where to sign the title. You’ll have to bring a copy of the registration of your current car if you’re going for a trade-in. Find the document, confirm the registration, and ensure that you have the sticker placed on the license plate, assuming your state still offers stickers. The dealer will need your driver’s license to verify your identity and ensure that you’re permitted to take the vehicle home. You’ll be required to submit the account number and other such details if you’re trading in a car that has a loan on it. You can find the account number on a previous payment stub. We also suggest that you first call the lender and explain your decision to trade in the car. The lender can help make the process easier by telling you what documents you need and what you need to sign in order to get the loan paid off. Some manufacturers offer special rebates that can help you save money when buying a car. Do some research to confirm if you qualify for such an offer and make sure to bring all supporting documents. For example, a popular rebate is for recent college grads. To qualify, you might have to bring in a copy of your degree or college transcript to prove you are a recent grad. Even after covering the basics what you need to buy a car, you probably still have a lot of questions on your mind if you are a first time car buyer. Can the dealer register the car for me? Yes, your dealer may be able to process registration for you. They will however, charge you a fee for the service. Your dealer will then provide you with a temporary registration slip or plate. You will need it before you take your new car on the road. However, the option may not be available if you’re buying your car from a different state. In such a scenario, you must get a “drive away” permit and register your vehicle once you reach your state. This is one of the most important tips for buying a new car from a dealer so make sure to keep it in mind. Yes, you can. In fact, some dealers prefer that you pay in cash and may even be willing to offer discounts on cash payments. Can I pay through personal check? Yes. Most dealers happily accept personal checks. However, they may not accept future or temporary checks. In addition to this, they may also reject a check if it is not in your own name. Can I pay through the credit card? Yes, you can, but not the whole amount, unless your car costs about $3,000. Credit card fees can be expensive and they eat into the dealer’s profit. Plus, there’s also the risk of credit card fraud or the buyer deciding to cancel the purchase in the future. This is why most dealers prefer that you only make the down payment through your credit card. Will I need to show a proof of employment? This is not usually necessary. However, you may be asked for pay stubs if you’re new to the country or have a bad credit score. It’s to assure that you’ll be able to make timely payments. Should I consider extended warranties? Extended warranties are good only if they are backed by the vehicle manufacturer. Extras options like VIN etching and paint coating are usually not worth the price. Instead, save your money and put the amount you would have spent into a savings account for future car related expenses. My favorite online savings account is with CIT Bank. There you can get a higher interest rate, which allows your money to grow faster. Click here to open your free account. Should I trade-in my current car or sell it? In most cases, you will make about 20% more money if you decide to sell your car privately instead of trading in. However, trading in your car is less demanding. Your best option is to see what the car is worth first. You can do this online with a site like Edmunds. Once you know the car’s value, determine if there is anything wrong with the car mechanically that you might have to fix in order to sell it yourself. Finally, determine if you want to deal with negotiating for a decent trade in offer or if you can spend the time putting your car for sale and doing everything yourself. I know a good friend who has done both. He traded in a car that had the transmission going and didn’t want to deal with getting it fixed in order to sell it. So he ended up trading it in. In another instance, he sold a car himself. It took time to take great photos and list the car, but he ended up getting a lot more by selling it rather than trading it in. Now that you know what do you need to buy a car, it’s time to look at some tips for buying a new car from a dealer. This new car buying tips and tricks guide contains all the information that you need, whether you’re a first time car buyer buying a new car, or an experienced car buyer looking to trade-in your old vehicle. Let’s move with our new car buying tips and tricks. Search online and familiarize yourself with the buyer’s form. It can be confusing so try to have a look at it and remember these tips for buying a new car from a dealer. Avoid Negotiating Monthly Payments. This will put you at the risk of the “Cash Flow Shell Game.” Sit down and reach a final price before you negotiate the financing. Moreover, do not pay the deposit until the deal is finalized. Do Not Be In A Hurry. Stay calm and wait for the right time. You should do a good amount of research and pick a dealer who offers you the best deal. Also, bring someone to support you during negotiations. Do Not Negotiate For Too Long. Most salespersons earn commission on the sale and do not want to spend more than 30 minutes negotiating a deal. They start to get frustrated if you do not reach a deal in 30 minutes so make your best offer within this time frame and let them know it’s the best you can offer. If they drag the negotiation out longer than 30 minutes, this is fine, as long as you told them of your best offer from the start. Don’t Be Afraid To Walk Away. Too many people think that once they start negotiating, they have to buy the car. It is OK to say no if your offer or one that is acceptable to you isn’t agreed upon. Simply thank the salesperson for their time and leave. In fact, this could be a smart way to force them to budge and agree to your price. Consider The Dealer Cost And Not The MSRP. You should not be paying the price you see on the window sticker. If you are paying this price, you are a sucker and the dealer loves you. Instead focus on the dealer cost. You can find this price on Edmunds. You should always make an offer that’s about 5% higher than the dealer cost as a 5% dealer profit is considered fair. However, this also depends on which car you’re getting. Stick to Your Offer. Stay strong and do not budge from your final offer once you’ve made it. These are all the negotiating tips for buying first car to remember when buying a vehicle. You might be able to get a good deal on a car that has been sitting on the lot for a long period of time. Simply locate the manufacturer’s sticker, typically found on the driver’s door, to know when it was manufactured. You can then see how long it has been since it was built and use this information to bring down the price. Dealers use different tricks to rob the buyer. Being aware of these tricks can help you save money when buying a car. Negotiate without the rebate. 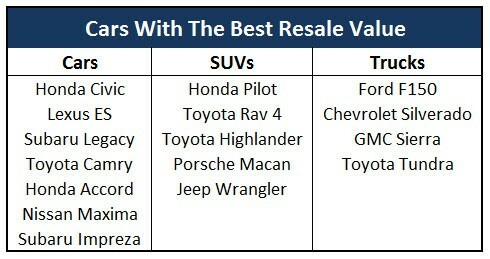 Many dealers advertise a price that includes the rebate. If that is the case then remove the rebate from the asking price and then negotiate a discount. Psychological games. Many dealers try to convince you that a salesperson is offering you the best deal by highlighting his or her achievements. This is just a trick to convince you that no other person will offer you a better price. Don’t fall for it. You have to be calm and think through any offer the dealer makes you. They are trying to get the most money out of you. By knowing the dealer cost for the car, you can be certain what kind of deal they are offering you and if it is worth taking or not. For example, let’s look at a rebate offer. The dealer cost of a car is $25,000 and the car is being sold for $30,000 with a $2,000 rebate. If the dealer offers you $27,500 you might think this is a great deal. You are saving $2,500 in total. But the rebate is paid for by the car manufacturer, not the dealer. When you take into account the rebate, the dealer cost is really $23,000. By taking the offer of $27,500 you are paying $4,500 more than dealer cost. You should be offering a maximum of $25,000 for that car. Do your research and find out prices from competitors. You can quote these prices to get a better deal and save money when buying a car. You do not even have to physically visit different sellers. You can compare prices online as well. Simply find a few local dealers that sell the car you are interested in. Then email them with everything you want in the car. This includes the following. Then ask them to quote you the out the door price. This price takes into account all fees, taxes and rebates and let’s you compare offers easily. You know that when you show up to buy a car, you won’t be paying anything else. Once you have various quotes, tell the dealer you are interested in buying from what the other dealer offered, assuming it is a lower price than they are offering. Tell them they need to beat it. If they can’t offer a lower price, then walk out and try another dealer. If you don’t want to deal with negotiating or are afraid you will give in before you get the best price on a new car, there is help. It is called Edmunds Dealer Quotes. You simply click here to head to the Edmunds website and fill out some basic information about the car you want to buy. They you complete your contact information and wait for your special price to come in from a local dealer. When you have the price, go to the dealer, sign and walk away with your car! You can rest assured that the price offered is a competitive price. In fact, most of the Edmunds Dealer Quotes come in below what Edmunds says is the True Market Value for the car. And best of all, getting this quote from Edmunds is 100% free to you! Click here to get your free Edmunds Dealer Quote. While money is of huge importance, it is not the only factor you should pay attention to when buying a car. No guide covering tips for buying a new car from a dealer will be complete until we highlight the need to carefully inspect the vehicle, especially if you’re buying a used car. You may opt to seek professional help and have a mechanic inspect the car for you to ensure it’s in a good condition. He or she can also give you the fair price of the vehicle. Also be sure to take into account the dealer and any offers they have. Some dealers have a better reputation or lower cost when it comes to repairing cars or performing maintenance. Do they offer a free loaner car or shuttle service when you are is in the shop? What about discounted rates or specials since you bought your car from them? We have reached the last stage of this guide. Let’s have a look at some tips on how to save money when buying a car. You can save a lot of money by purchasing a used vehicle. A new car loses about half of its value within the first two to three years. That’s a huge amount of money to lose on a purchase so expensive. This is why a slightly used car offers a better value. You can get it for about 40% lower than a new car and sell it at a good rate. Some brands are more valuable than others based on the resale value. We suggest that you buy a car that doesn’t lose a lot of its value so that you don’t have to handle huge losses if you decide to sell it in the future. Some good options include Toyota, Honda, and Subaru. Cars from these manufacturers tend to hold on to their value the longest. This is one of the simplest tips for buying a new car from a dealer but very few people are aware of it. Dealers have targets to meet. End of a quarter is a good time to buy because this is when reports are prepared. Also, avoid weekends as they’re crowded and you may not get a good deal around this time. Another time to buy is around the holidays or when cold weather hits as not many people go looking for cars at these times. Since the dealers will be trying to hit their sales goals, they may be more willing to make a deal. Finally, shop when a new model is coming out if you like the current version of the car. Dealers will give big discounts on a previously designed model to make room for the new inventory. As long as the old model has every feature you need, you can score big savings. While your car looks shiny and new now, in the coming years, wear and tear will begin to cause issues. Maintaining a car can cost a lot of money, so keep in mind the cost of routine maintenance. You don’t want to buy a car that is going to cost you an arm and a leg to keep running. Additionally, take into account the cost to insure the car and the gas mileage it gets. These too add up over time and can end up costing you a lot of money. If you intend to look for financing then consider different options before you look at dealership financing since it is usually very expensive. This is because the dealers often get a finders fee for their recommendation. This fee is extracted from you in the form of higher hidden costs, making it more expensive for you. Always shop around and compare different factors such as the APR, the length of the loan, and the number and size of the monthly payments. Look at the total amount you’ll pay and compare it to the price of the car to understand the difference. Also be sure to take into account any rebates or deals the dealer offers if you go with their financing. Many now offer an additional discount off the cost of the car when you finance through the car manufacturer. This could end up saving you money in the long run. Buying a new car can be quite adventurous if you do not know where to start or what you need to buy a car. We hope these tips for buying a new car from a dealer will help you save money when buying your car. The key to a successful experience lies in picking the right car from the right dealer and choosing the right financing option at the right time.